On April 24th, a State Bureau of Investigation agent was arrested on suspicion of driving under the influence. Agent Jason Whitehead who is a former Utah Highway Patrol officer and now currently part of the State Bureau of Investigation was arrested for DUI. 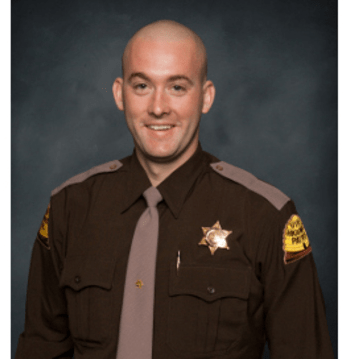 Whitehead was pulled over in Garfield County on his way to training in Lake Powell because his is currently a part of the DPS Dive team that performs body recovery and search and rescue. “I’m very disappointed when it’s found that one of our own, who has committed to protect, made a bad choice that could harm others. We were fortunate in this incident that no one was hurt and we have taken immediate action to address this incident. This is a very rare occurrence that does not represent the conduct of the nearly 1,600 men and women of the Utah Department of Public Safety who have dedicated their careers to providing caring and professional service,” said Department of Public Safety Commissioner Keith D. Squires. Whitehead was placed on administrative leave pending the outcome of the investigation. Even government employees make mistakes. As a former police officer who trained other officers on field sobriety testing, Greg S. Law has a comprehensive understanding of police DUI procedures and firsthand knowledge of just how common police mistakes are in these cases. Today, this knowledge consistently helps our attorneys obtain full acquittals, dismissals and significantly reduced charges for the individuals we represent. Learn more about how our experience can benefit you, and call or contact us online for a free initial consultation with an experienced Salt Lake City DUI attorney. DUI cases in Utah proceed on two different fronts. One front is the civil case, involving your driving privileges. The other is the criminal case, which can lead to significant penalties.